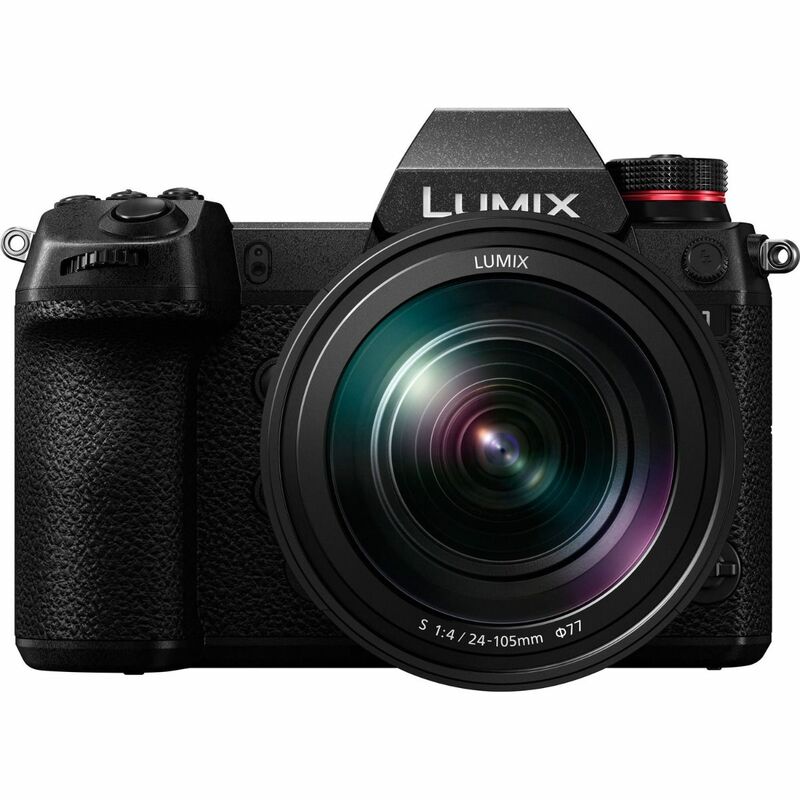 The LUMIX S1 comes with a 24.2-megapixel full-frame CMOS sensor. Providing ample light condensation per pixel, the LUMIX S1 boasts a wide dynamic range and reproduces sharp images with exceptional clarity. The new Venus Engine, which is exclusively tuned for the full-frame camera, and its Multipixel Luminance Generation and Intelligent Detail Processing, realize natural, high-resolution expression while suppressing colour moiré. Three-dimensional Color Control also improves the colour reproduction of both bright areas and shadows. Thanks to the high-performance sensor and engine, true-to-life images from low to high sensitivity are realized. The LUMIX S1 is an ideal camera especially in low-light situations with minimal noise even at the maximum ISO51200. The largest-in-class Real View Finder boasts the world’s highest 5,760k-dot resolution. *6 The 0.78x magnification ratio can be switched to 0.7x or 0.74x according to the shooting situation. Adoption of a high-speed, high-precision OLED (Organic Light-Emitting Diode) for the LVF achieves smooth display at 60 fps / 120 fps (switchable) and high-speed response with minimum time lag of less than 0.005 sec as well as 10,000:1 high contrast for exceptional visibility. The 2,100K-dot high resolution monitor in 3:2 aspect ratio has adopted a triaxial tilt moving element to secure both durability and operational ease. It also has a touch control system. The LUMIX S1R/S1 includes a largest-in-class*6 Status LCD on the top, allowing users to check the settings at a glance. To be tough enough to withstand heavy field use, the main structure is composed of a magnesium alloy full die-cast front/rear frame. Robust construction and a sealing for every joint, dial, and button make the LUMIX S1R/S1 not only dust resistant and splash resistant but also operates down to -10 degrees Centigrade. *13 The shutter unit is also durable for approximately 400,000 cycles. *1 Based on the CIPA standard [Yaw/Pitch direction: focusing distance f=50mm when S-X50 is used.] *2 5-Axis Dual I.S.2 can be used with the lens S-R24105 and S-R70200 as of February 1, 2019. *3 Based on the CIPA standard [Yaw/Pitch direction: focusing distance f=200mm when S-R70200 is used.] *4 “HLG (Hybrid Log Gamma)” is an international standard (ITU-R BT.2100) HDR format. *5 “HSP” is an HDR picture format using HLG format video technology. *6 As a Full-frame Digital Single Lens Mirrorless Camera, as of February 1, 2019. *7 The guide number decreases at 1/320 second. Only when set to M mode or S mode. *8 11EV, at wide-end with S-R24105 (CIPA) in LVF120 fps setting. *9 At ISO 100, F1.4, AFS. 100% contrast target. *10 Maximum 29 minutes 59 seconds in 4K 60p/50p until the SD Memory Card becomes full or the battery runs out. When the ambient temperature is high or continuous recording is performed, the camera may stop the recording to protect itself. Wait until the camera cools down. *11 50p and 25p recording only for 50Hz area. *12 XQD is a trademark of Sony Corporation. *13 Dust and Splash Resistant does not guarantee that damage will not occur if this camera is subjected to direct contact with dust and water.